Nothing can ruin a day like heartburn. Unfortunately, I am one of the people who gets “frequent heartburn”. My day can go from really good to really uncomfortable very fast. And when this happens, I often have to lay down and take a break. We have so many fun things on the schedule during the summer– many involving good food, so it can be frustrating when I can’t participate. Thankfully, Omeprazole Orally Disintegrating Tablet (also referred to as ODT) has come to my rescue many times so I can join in on all of the summer fun. 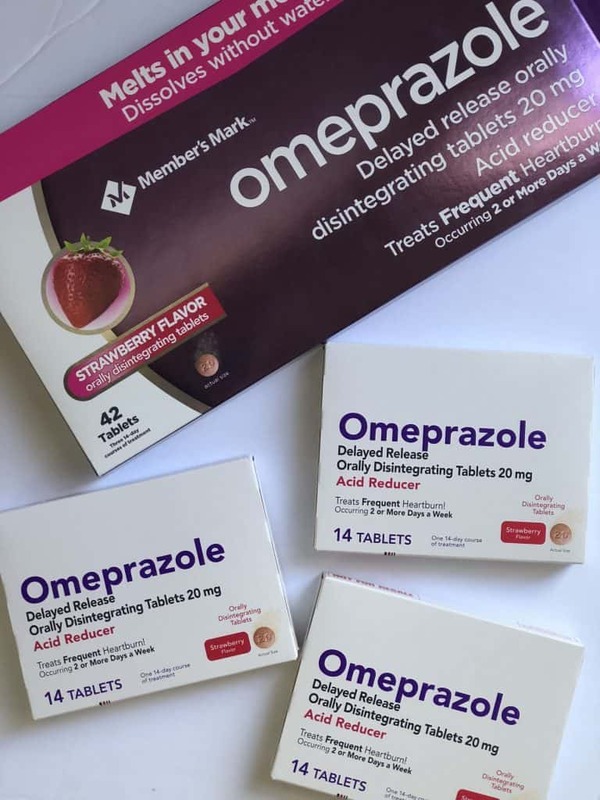 About Omeprazole ODT Omeprazole ODT is strawberry- flavored and is designed to treat the symptoms of frequent heartburn (meaning 2 or more days a week). While some may get relief in the first 24 hours, it may take 1-4 days for full effect. The pill must be taken once every 24 hours for 14 days. Make sure and use as directed for no more than 14 days. Omeprazole ODT is not intended for immediate relief. Omeprazole Orally Disintegrating Tablet is available as an easy-to-take orally disintegrating tablet that easily dissolves under your tongue. Member’s Mark Omeprazole Orally Disintegrating Tablet is now available at Sam’s Club. Do you have a favorite go-to store? I do! I love Sam’s Club because I can get everything that I need for my family all in one place. It is fast and convenient to shop and their Member’s Mark store brand is more affordable than the National brands. I love that they now have Member’s Mark Omeprazole ODT at Sam’s Club so I can can always be prepared for when heartburn hits. 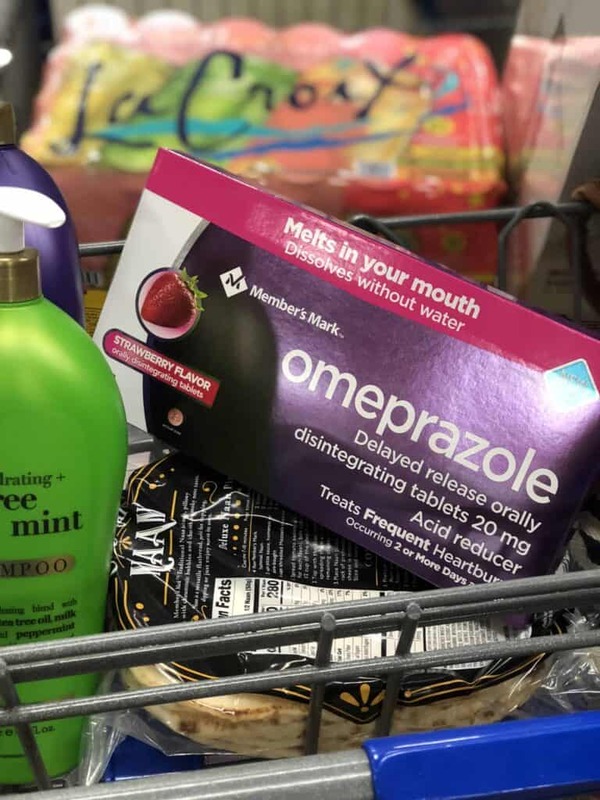 I have found that Member’s Mark Omeprazole ODT treats the same heartburn symptoms as Prilosec OTC ®and i love that the Club Brand is more affordable. Why Omeprazole Orally Disintegrating Tablets? You never know when heartburn will hit. Sometimes when you are suffering from heart burn, you don’t want to have to swallow a pill. Other times you may not have a water bottle with you. Omeprazole ODT is great because it melts in your mouth and dissolves without water. 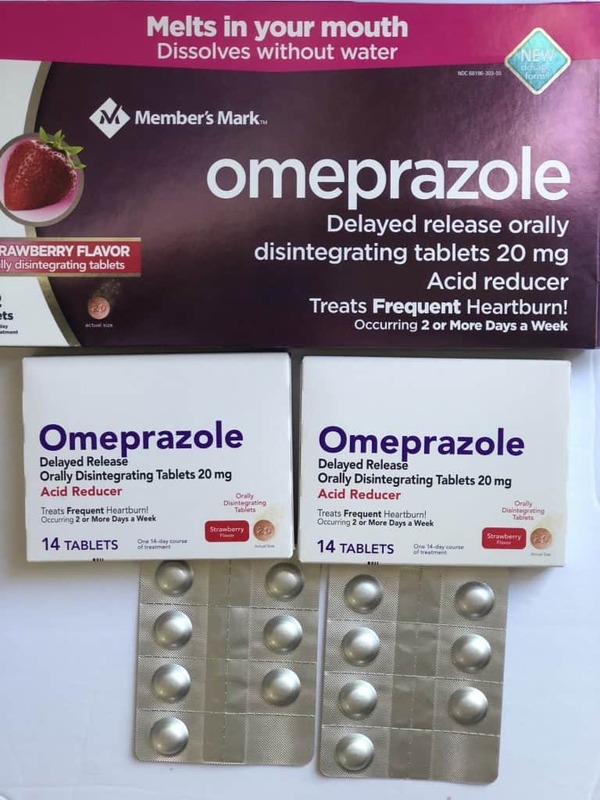 If you are like me, and get heartburn on the go, Omeprazole ODT is perfect because you can keep it in your purse or diaper bag and have it whenever you need it. The disintegrating tablets help you to be more prepared when you are at home or on the go. 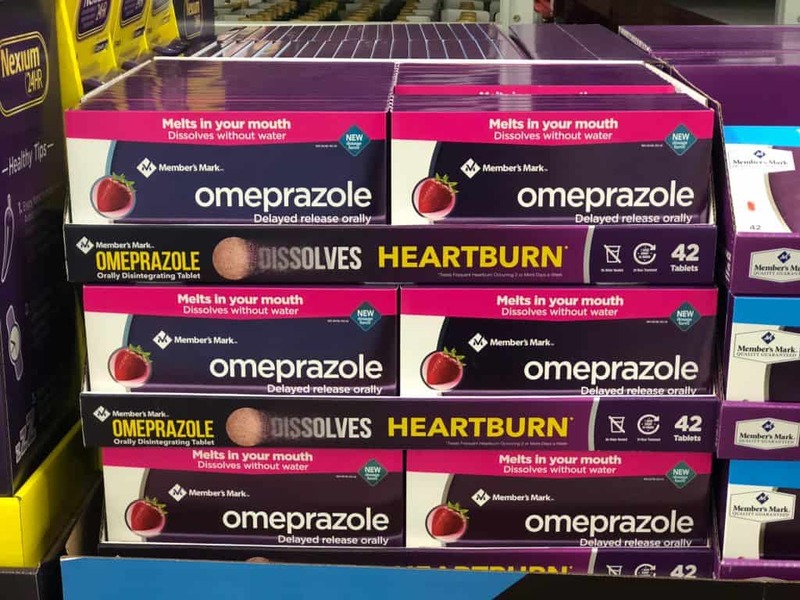 If you struggle with Frequent Heartburn, you should head on over to your local Sam’s Club and check out Omeprazole ODT. Not only does it taste great with the strawberry flavor, but the Omeprazole ODT with MELTech TM allows the tablet to dissolve on your tongue easily. Omeprazole ODT helps treat heartburn so you don’t have to miss out on the activities that you love.